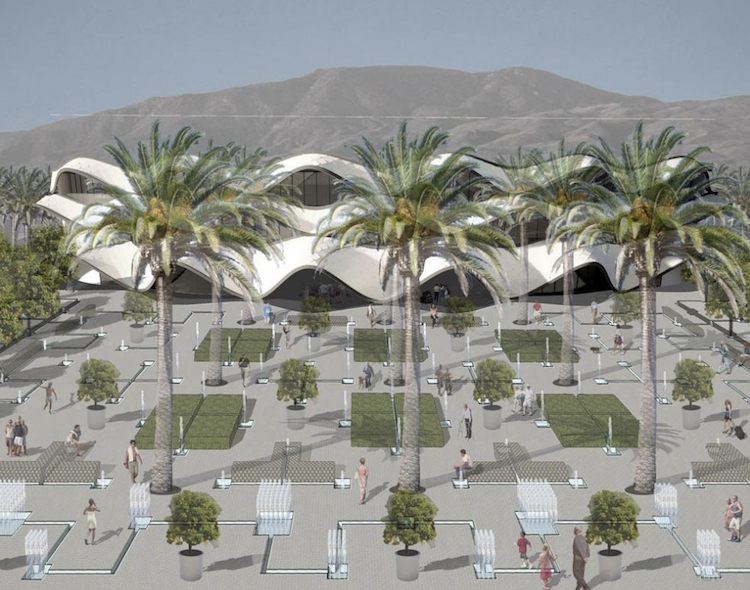 The development planned for the Southern California desert wants to prove that aging gracefully can include community, culture, and breathtaking architecture. 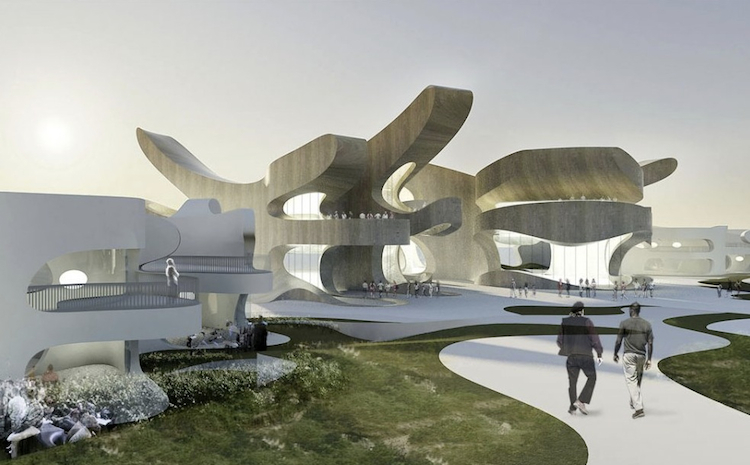 After three years studying aging and design, architect Matthias Hollwich uncovered a disturbing truth. “Age discrimination is really prevalent in our society,” he says. “Plus, you are actually discriminating against something you will be in your own future.” The New York-based principal of Hollwich Kushner, who also co-founded the architect networking site Architizer, thinks architecture can help by creating inspiring, community-oriented spaces where retirees are empowered to give back to society. 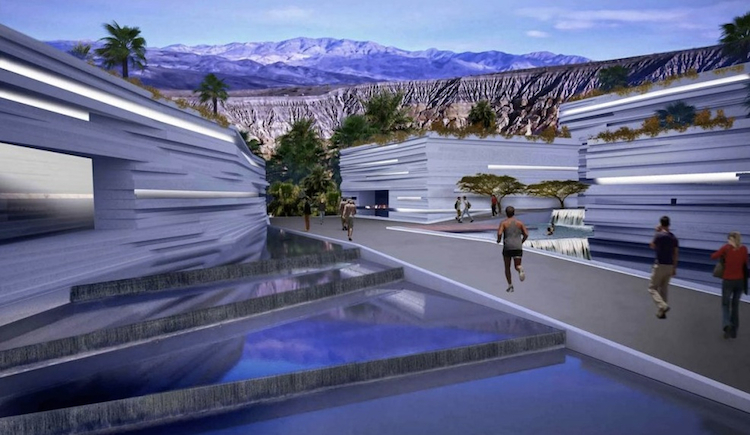 His new project BOOM, a $250 million development planned for the Palm Springs area that’s coordinated by Hollwich’s firm, is banking on the fact that hundreds of aging, creative boomers — many of them part of the local gay community — will move here to do it. Hollwich’s firm is one of ten architectural firms including Diller Scofidio + Renfro, Juergen Mayer H., and Lot-Ek who are contributing to the project, which will be developed by Los Angeles-based Boom Communities, Inc. Each firm was given a piece of the 100-acre plot and total freedom to inject their personal style into the space. The only requirements for the architects were that their structures had to epitomize high design in order to fight the stereotypical look of retirement communities, and that none of the firms could have ever done work around aging before, so they could come to the project with fresh ideas. 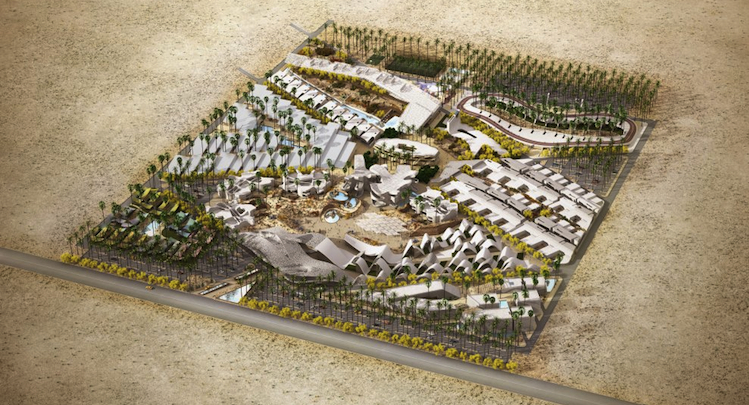 The 300 residences will break ground in 2012, a number that will more than double with the completion of phase two. The project began as part of Hollwich’s line of study on architecture and aging at the University of Pennsylvania, which culminated in a conference held last September called New Aging. BOOM is a chance to design a contemporary retirement community from the ground up, one that ignores those stereotypical architectural motions, he says — a ramp here, a wide doorway there– that reinforces the feeling of being a second-class citizen. Throughout BOOM’s pedestrian-only community, Hollwich proposed providing elements for a range of abilities that Hollwich says will empower residents. “Inconvenience will help to trigger people and get them to do a little bit more activity than they think they can,” he says. If they encounter other people doing the same thing, even better. “It becomes a socializing moment.” Landscaping proposals by Surfacedesign offer multiple paths to a park’s vista, ranging from stairs to ramps, giving residents the empowering ability to make a choice and help each other along the way. What began specifically as a community to serve Palm Springs’s burgeoning gay community that’s 65 and over soon began to skew younger, namely when Hollwich’s research uncovered a bigger shift in LGBT lifestyles that happened around 40. “You might shift from a party life into one that’s more settled down,” he says, making it a perfect time to start looking for different living options. Hollwich then examined other lifestyle trends that changed BOOM’s focus even more. For example, even the definition of “family” was different for the gay community, says Hollwich. The people they spoke to considered a wide range of people, including ex-partners and close friends, to be their immediate family, some of whom might not identify as LGBT at all. “We got so much response from the outside that asked for it to be a community for all,” says Hollwich. So the plan expanded to become more of a destination, with dining, retail, and boutique hotels. 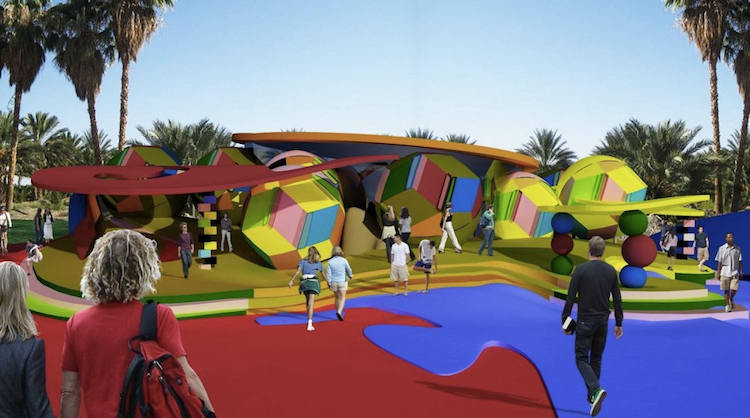 Specific elements like the Healing Funhouse by Arakawa + Gins, a colorful, highly textured playground, are designed for both kids to scramble over and for their grandparents to stretch and condition their bodies. 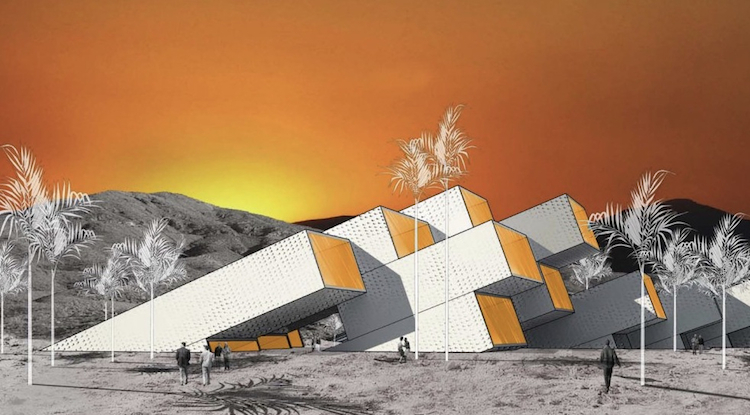 To do that, they’ve set up an online community, designed by Bruce Mau Design (who also designed the logo and identity) where potential residents can provide feedback on the community and tell the architects what they want to see in the next round of renderings. People will also be able to join advisory boards and put together committees for initiatives like community gardening or theater groups. If they “Like” BOOM on Facebook, says Hollwich, the team will reference their profiles to make sure planned activities are serving their interests. Additionally, there will be a chance for real-life community building. A popular event promoter in the local LGBT community will be having launch events in 10 cities to recruit new residents. Construction events planned at the site will engage the local community early on and allow potential residents to meet their future neighbors and participate in some activities, like a collaborative building project at a community center. Still, BOOM will have to work extra hard to win the right kind of socially-focused, culturally-savvy resident. 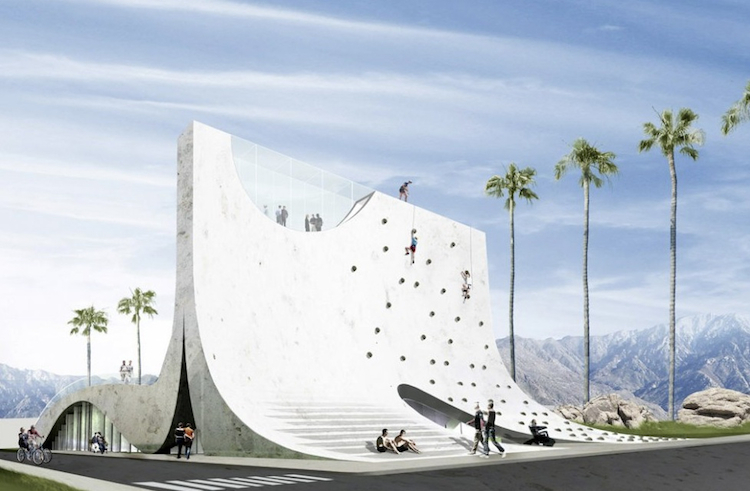 It’s not nestled in the resurging hipness of Palm Springs, rather, it’s on the fringe, in a community called Rancho Mirage, where sleepy golf courses and stucco-covered condos aren’t a huge draw. For BOOM to succeed in luring the right brand of design-enthusastic retirees, it will likely have to draw them out of big cities where they have access to urban amenities like world-class restaurants and well-funded museums. 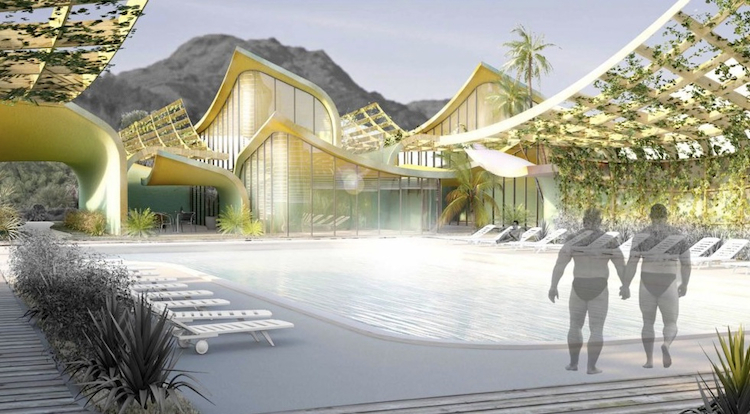 And while catering to active older people with non-traditional draws like a “rooftop disco” — insert visions of Cocoon in the desert — there are some issues with designing what’s essentially a theme park for gay retirees. I’m guessing that healthy, young tourists likely won’t want to spend their vacation staying at a retirement home, even if they’re welcome, and locals might not want to do their shopping at a nursing home, where extensive healthcare facilities — however well-designed — are so prevalent. There’s also the possibility that many potential straight residents who are interested in the design won’t feel comfortable in a community driven by gay culture. Still, if what Hollwich is saying is true, the residents themselves can mold this diverse community into their own version of a gently-graying utopia. Time will tell if it’s BOOM or BUST.